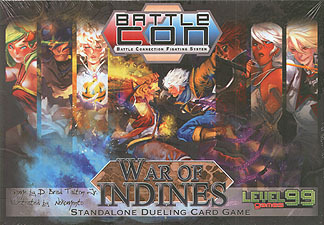 Battle Connection: War of Indines is a stand-alone, head-to-head duelling game unlike anything to come before. Choose your character from an impressive roster of dimensional knights, sinister vampires, sharpshooting mercenaries, time travellers, battle priestesses, elemental warriors, and more! Every character can utilise up to 35 different moves in combat, and each brings a powerful new play mechanic to the table that completely changes the game and forces you to fight in different ways. Control time, alter your form, master the elements, trap your opponents, and rewrite reality itself to achieve victory! Contains Eighteen Fighters to Master!